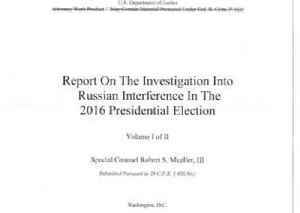 Special counsel Robert Mueller's report on Russian election meddling in the 2016 election and whether the Trump campaign was involved has been released. 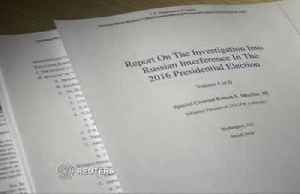 While the report says there's not enough evidence to prosecute Donald Trump, it doesn't clear the.. 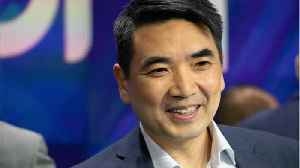 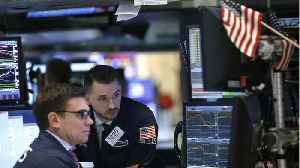 According to Reuters, U.S. stocks dipped in volatile trading on Thursday, ahead of a long Easter weekend, as another drop in healthcare stocks overshadowed gains from industrials after upbeat earnings. 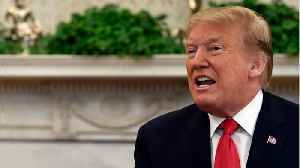 In a bright spot, U.S. retail sales increased by..
On Thursday, the Justice Department will release a redacted version of the special counsel Robert Mueller's final report in the Russia. 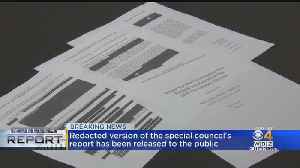 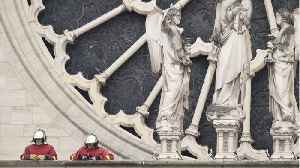 Congressional sources told NBC News on Wednesday that the report will be released to Congress around 11 am on a.. 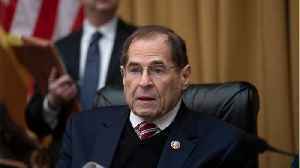 According to Business Insider, House Judiciary Chairman Jerry Nadler sent a letter Thursday to former FBI Director and special counsel chief Robert Mueller requesting he testify before Congress. 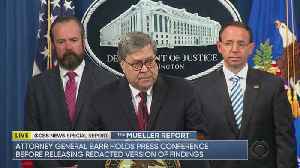 Nadler made the request within minutes of the..
President Trump told an audience at the White House on Thursday "I'm having a good day too," as the much awaited Mueller Report on Russian interference in the 2016 election was being made public. 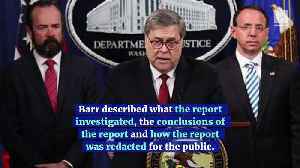 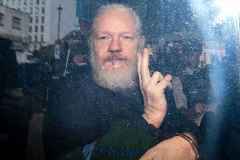 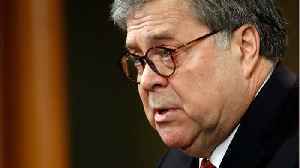 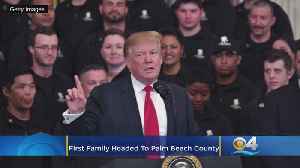 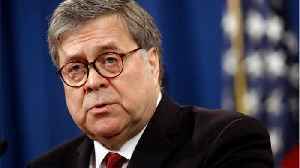 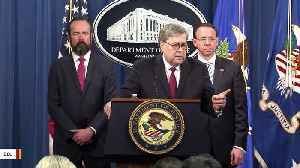 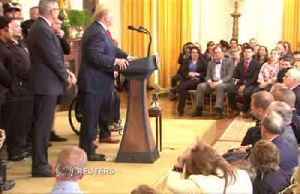 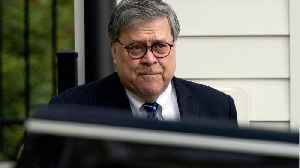 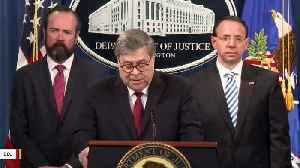 He was presiding over an event for the Wounded Warrior..
Attorney General Barr to Release Mueller Report The Attorney General held a press conference at the Department of Justice prior to the release. 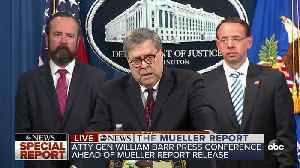 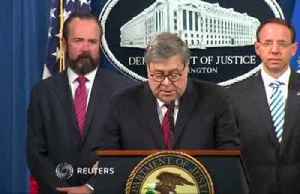 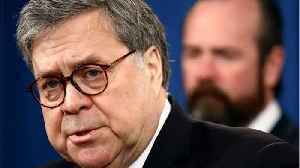 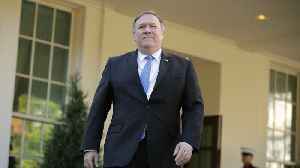 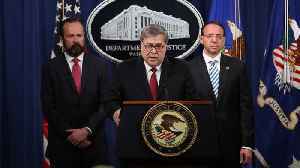 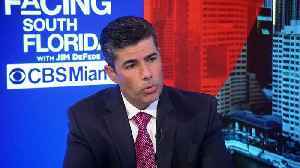 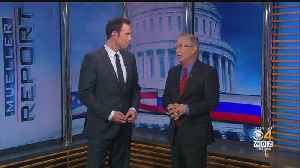 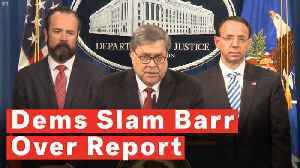 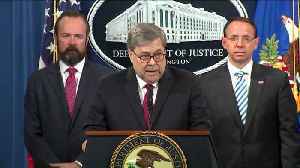 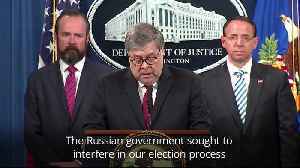 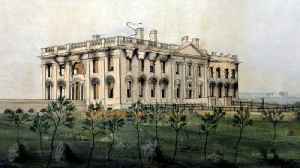 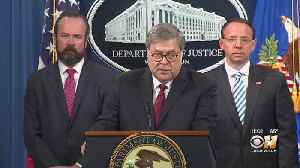 During his prepared statement to the press, Barr described what the report investigated, the..
Attorney General William Barr and Deputy Attorney General Rod Rosenstein are discussing what they say is in the Mueller report, which the Justice Department plans to release publicly and to Congress within hours. 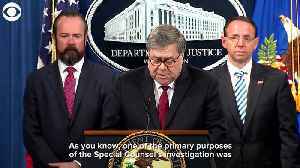 ATTORNEY GENERAL WILLIAM BARR: "As you will see, the Special Counsel’s report states that his quote 'investigation did not establish that members of the Trump Campaign conspired or coordinated with the Russian government in its election interference..
Video communication company Zoom priced its IPO at $36 per share on Wednesday. 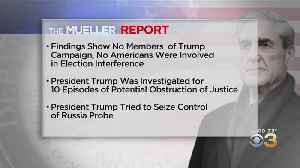 The news comes according to a source familiar with the process. 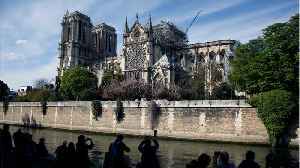 This values Zoom at $9.2 billion. 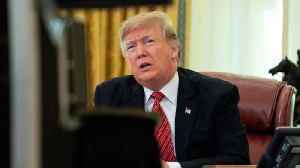 Business Insider said the $9.2 billion evaluation is up from its last.. 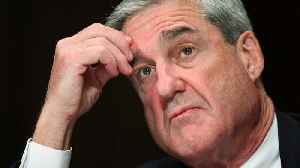 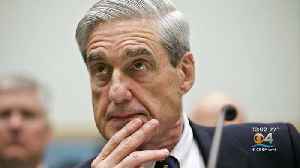 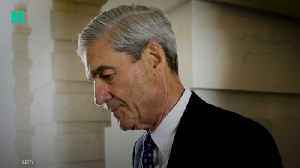 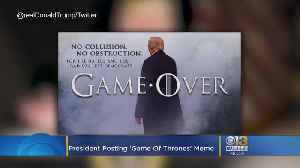 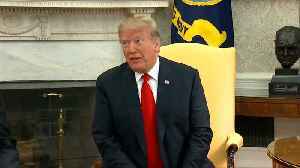 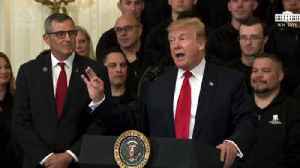 According to Reuters, U.S. Attorney General William Barr said on Thursday that Special Counsel Robert Mueller’s investigation did not uncover evidence that President Donald Trump obstructed the probe of whether he or members of his campaign colluded..
On Thursday U.S. Attorney General William Barr offered a heartened defense of President Donald Trump ahead of the release of Special Counsel Robert Mueller’s report on Russia’s role in the 2016 U.S. election, however he revealed that it detailed..